Lathe is gone! Pretty much at the point that we can start rebuilding. Like all major projects, there’s a list of dependancies. The asbestos guys are coming on Tuesday, should be done on Wednesday. 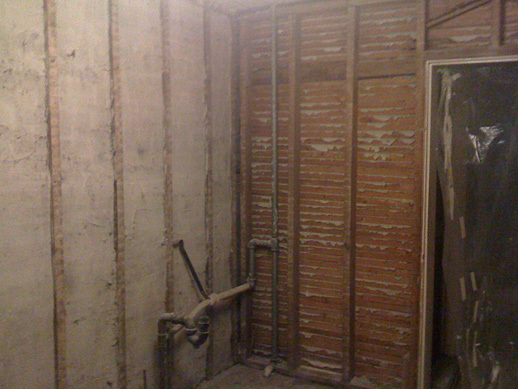 Once they’re done, the plumber can come in and remove the kitchen radiator. Once he’s done, I can get the plywood down on the subfloor, and once that’s done, there’s nothing stopping us from putting the tiles down. 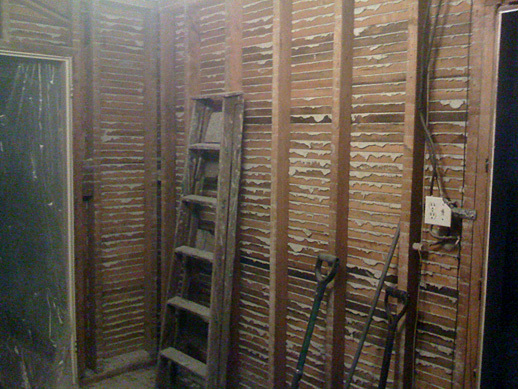 In the meantime, there’s wiring to be done and plumbing to be moved from one side of the kitchen to the other. And completely unrelated to the kitchen, we’ve booked the guys to come in and sand and finish the hardwood on the main floor. As much as we’d love to have the upstairs done now too, it’s too difficult to schedule at this time, so it’ll have to wait till later. Thankfully they’re in pretty good shape upstairs.